Il Centro Studi Cinesi dell'Università Urbaniana da il suo più caloroso benvenuto al Prof. Ren Dayuan (Institute of Chinese Culture, Chinese Academy of Arts, Beijing, China) in Italia per un periodo di studio e di ricerca. Nel mese di dicembre 2008 il Prof. Ren presenterà una conferenza per il nostro Centro il cui tema, luogo e orario saranno debitamente annunciati su questo blog. Ren Dayuan finished his postgraduate studies in 1981 at China Northwest University. 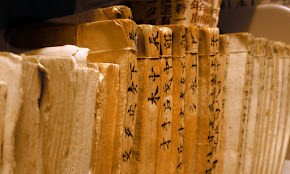 For several years he was engaged in teaching and research on the history of Chinese thought at the same University. Since 1997 he has been Professor at the Institute of Chinese Culture, Chinese Academy of Arts in Beijing, China. In the past ten years Prof. Ren has carried out research on the cultural exchange between China and the West since Ming dynasty. 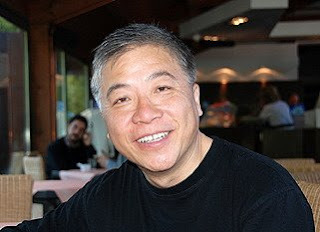 He is currently the vice editor of the International Sinology Journal in Beijing. Among his many publications we mention: An intellectual history of Chinese Ruxue 中国儒学思想史; Mencius 孟子; An intellectual history of China 中国思想史. Il Centro Studi Cinesi dell’Università Urbaniana da il suo più cordiale benvenuto alla Professoressa Henrietta Harrison (Harvard University) che svolge ricerche di archivio e di biblioteca nella nostra Università. Nel mese di novembre 2008 la Professoressa Harrison presenterà una conferenza per il nostro Centro il cui tema, luogo e orario saranno debitamente annunciati su questo blog. 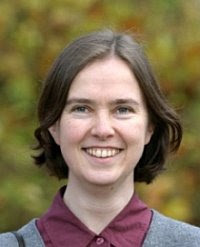 Henrietta Harrison received her PhD in 1996 from Oxford University, where she then spent three years as a junior research fellow, before moving to the Department of East Asian Studies at the University of Leeds. Since 2006 she has been Professor of History at Harvard University. Her research has concentrated on the social and cultural history of modern China. Her dissertation, which was published as The Making of the Republican Citizen (Oxford, 2000) was on large national themes, looking at the spread of modern social and ritual practices among the Chinese modernising elite in the early 20th century. However, for the past ten years she has worked mainly on the history of the poor, inland province of Shanxi looking at it first through the eyes of a traditional Confucian scholar living out his life in a rapidly modernising world (The Man Awakened from Dreams, Stanford 2005), and now through the history of a small group of villages that were founded by Chinese Catholics in the late 17th century and are still Catholic today. 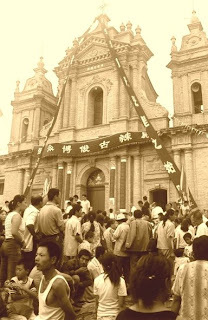 Tudi Gong, the ‘spirit of place’ in Taiwan, has been given a disproportionately small place in anthropological and sinological studies, given its prevalence and popularity among the people of Taiwan. Based on extensive fieldwork in Taiwan, this book examines the cult of Tudi Gong both as a religio-social phenomenon and as an appropriate medium for exploring and analysing the changes that have been occurring in contemporary Taiwan, and the people’s strategic adaptations to these changes. In this comprehensive ethnography of Tudi Gong, the author engages in a theoretical discussion of the practices, processes and strategies of ethnography and ethnographic writing, and contributes to the construction of an anthropology of place by analysing a number of key concepts related to the notion of place and space. The study combines the use of personal ethnography with raconteurs’ own accounts as a way of tracing senses of place and memories of the past. This is a pioneering foundation text for an anthropology of non-domestic place and space, and brings the most important recent work of social geographers into the field of anthropology. Alessandro Dell’Orto ha conseguito il baccalaureato e il dottorato in antropologia sociale presso l’Università di Londra, The School of Oriental and African Studies (SOAS); il baccalaureato in teologia e la licenza in missiologia presso l’Università Urbaniana. Dal 1989 ha condotto numerose ricerche di campo, soprattutto sulla religione popolare, in Cina Popolare e a Taiwan, luoghi dove ha vissuto per dodici anni. È stato visiting scholar presso l’Istituto d’Etnologia dell’Accademia Sinica di Taiwan; ricercatore associato al Dipartimento di antropologia e sociologia dell’Università di Londra, SOAS; membro dell’Isti­tu­to Ricci per Studi Cinesi di Taipei; esperto straniero e professore incaricato speciale in antropologia in Cina Popolare. I suoi principali interessi sviluppano temi collegati all’approfondimento del­l’an­tro­po­lo­gia della Cina e delle religioni cinesi. 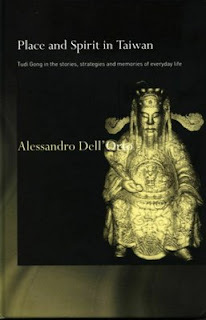 E’ autore di: Place and spirit in Taiwan: Tudi Gong in the stories, strategies and memories of everyday life, Routledge 2002 (nuova edizione in paperback, settembre 2013: http://www.routledge.com/books/details/9780415861618/). Insegna all’Università Urbaniana di Roma dove è titolare dei corsi di antropologia sociale e culturale, di antropologia della Cina e di religioni cinesi. Da Febbraio 2007 è direttore del Centro Studi Cinesi della stessa Università.